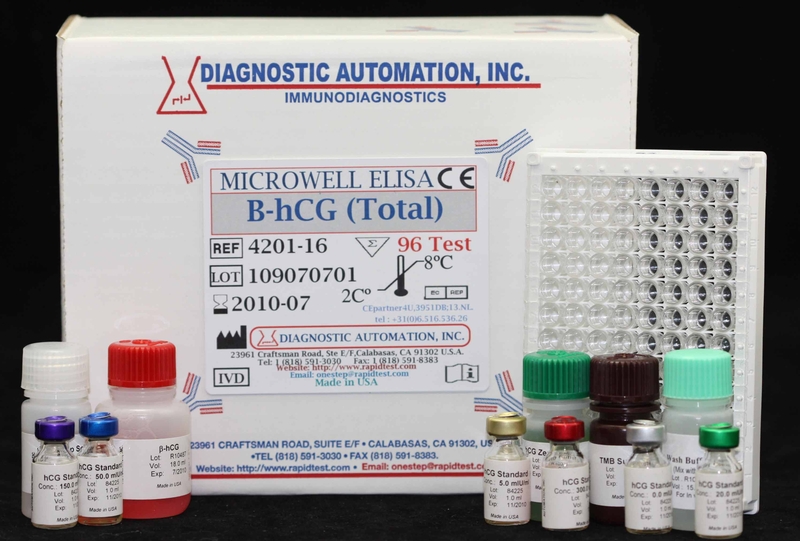 The Diagnostic Automation b-hCG EIA test kit is mainly intended to quantitatively determine Total beta-hCG concentration in human serum. 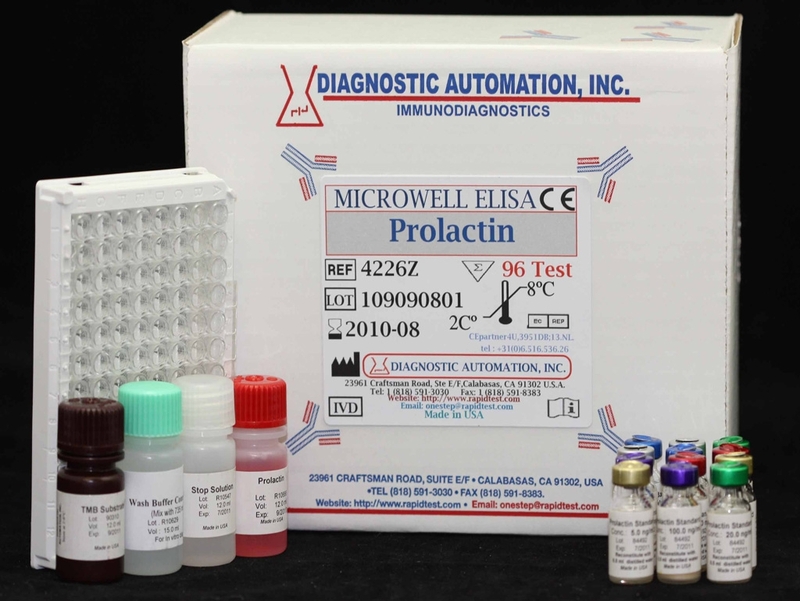 Human chorionic gonadotropin (HCG) is a sialoglycoprotein initially secreted by the trophoblastic cells of the placenta shortly after implantation of the fertilized ovum into the uterine wall. The rapid rise in HCG serum levels after conception makes it an excellent marker for early confirmation and monitoring of pregnancy. As uncomplicated pregnancies progress, the serum HCG levels increase to a peak concentration, then decrease and plateau. HCG circulates as the intact molecule in the serum of normal women who have an uncomplicated pregnancy. The subunits are cleared rapidly and excreted by the kidney. The placental hormone, HCG, is similar to luteinizing hormone (LH), follicle stimulating hormone (FSH), and human thyroid stimulating hormone (HTSH). With the availability of sensitive quantitative assays for the measurement of serum HCG, it has been shown that HCG levels can be useful in predicting spontaneous abortions, aiding in the detection of ectopic pregnancy and multiple gestation. Elevated levels of HCG have also been detected in serum from patients with abnormal physiological conditions not related to pregnancy. 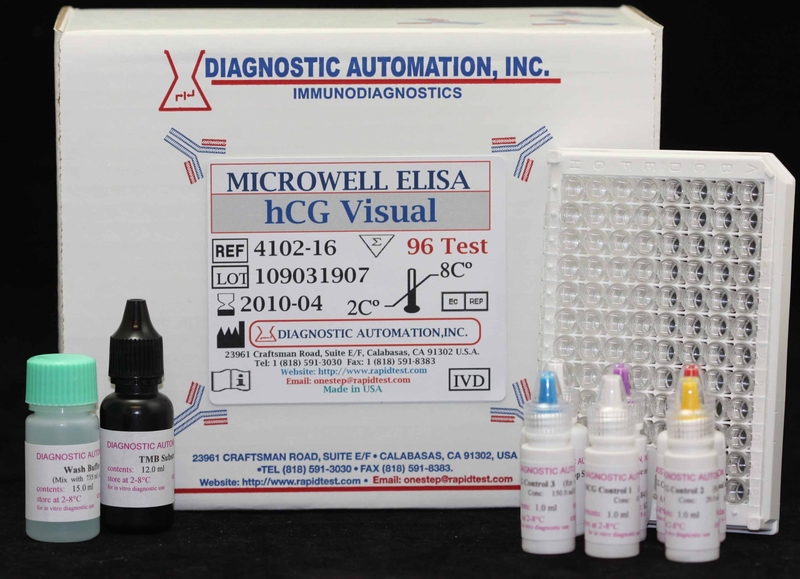 The HCG EIA test provides a rapid, sensitive and reliable assay. 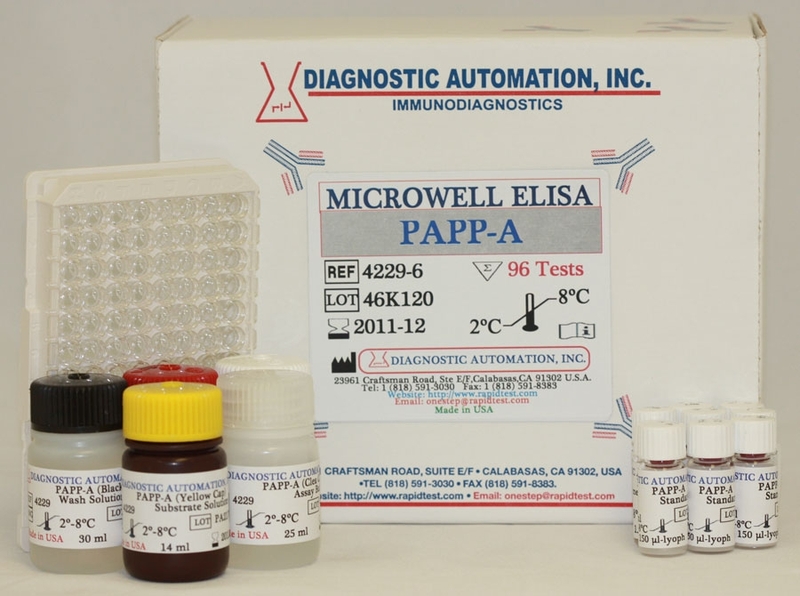 The antibodies developed for the test will determine a minimal concentration of 2 mIU/ml. 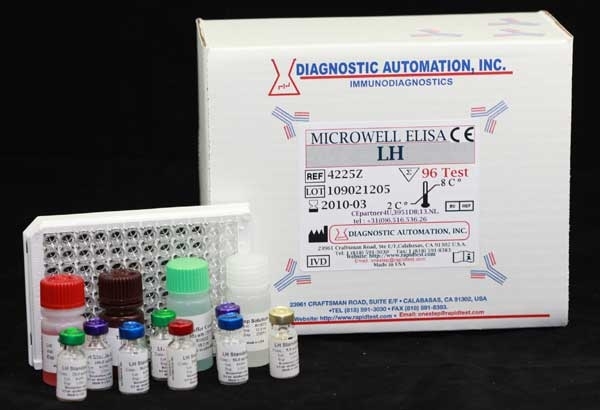 The hCG Quantitative Test Kit is based on a solid phase enzyme-linked immunosorbent assay. 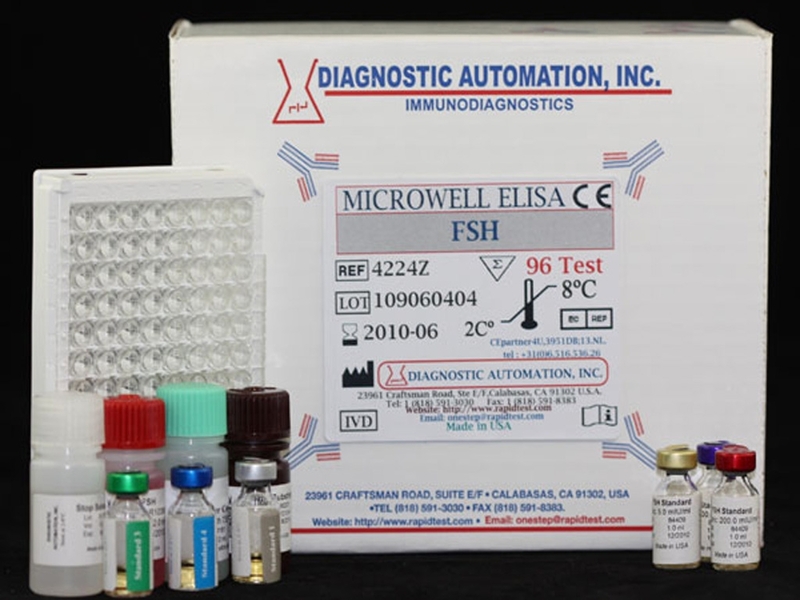 The assay system utilizes one anti- hCG antibody for microtiter wells immobilization and another mouse monoclonal anti-bhCG antibody in the antibody-enzyme horseradish peroxidase conjugate solution. then serum is added to the hCG antibody coated microtiterwells and incubated with the Zero Buffer. If antigen is present in the specimen, it will combine with the antibody on the well. For additional details please refer to the instructions for use.